At Dinas Estate Agents we believe it is vitally important that all property investors have comprehensive yet affordable insurance policies for their investment property. Both Building and Landlord Insurance Policies that can give you peace of mind in most possible scenarios are a must. 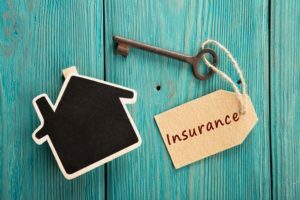 If you have an investment property it is also wise to become familiar with exactly what you are covered for, and the difference between Landlord Insurance and Building Insurance. We have provided some insight into this topic below. A tree falls onto a house due to a violent storm leaving the property uninhabitable for 9 weeks. A Landlord Insurance policy would normally respond by covering the loss of rent during this period. A Building Insurance policy would normally respond by covering the cost of repairing the properties structure. To learn more about how to invest in property carefully and safely with our Top 8 Protection Strategies call us now on 035988 3358. TOP 6 Property Investment Comparisons when Buying New vs Buying Old Don’t wait to Invest. Invest then wait….